If you want to go fishing in Puerto Vallarta you have to adapt to the type of fish you would like to catch. As Puerto Vallarta is situated near the Pacific Ocean, you’ll be surprised to see that there are millions of fish and other aquatic creatures living there. Here are a few tips that will help you chose the period to go fishing in Puerto Vallarta in order to catch the type you are looking for. As Puerto Vallarta is a tropical region, fishing is a pleasant activity doing the entire year as the temperatures are not as low as in other regions. However, the perfect fishing temperature is generally 27 ◦ C during the day and cooler at night. If you want to include fishing in your list of “to do” activities in Puerto Vallarta then you have to know that fishing costs usually 10% / 15% of the cost of the charter. This fee could be paid using the local currency or with US dollars. As the fishing season in Puerto Vallarta lasts the entire year, you have to choose one period and try to catch some types of fisher you were dreaming about. 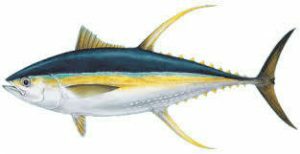 If you want to catch the large tuna fish, then February is the perfect month when you have the higher chances to get it. During the summer or spring season, you could fish for the black, blue or striped marlin. 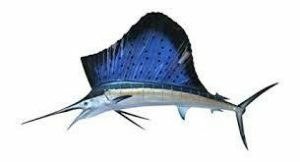 If your aim is to catch the sailfish, the best season is the winter, although this fish could be also catcher during the entire year. If you decide to go in a holiday in Puerto Vallarta inn June or July, then except finding the Yellow Fish Tuna or a Dorado. Apart from just fishing in Puerto Vallarta, you have the opportunity of doing it on the beaches of Banderas Bay which is a large area or in the Sierra Madre mountains where you can both fish and admire the impressive views. Remember that there are lots of opportunities to go fishing in Puerto Vallarta. The trips are not so expensive and all the equipment is included so there is nothing you should worry about.